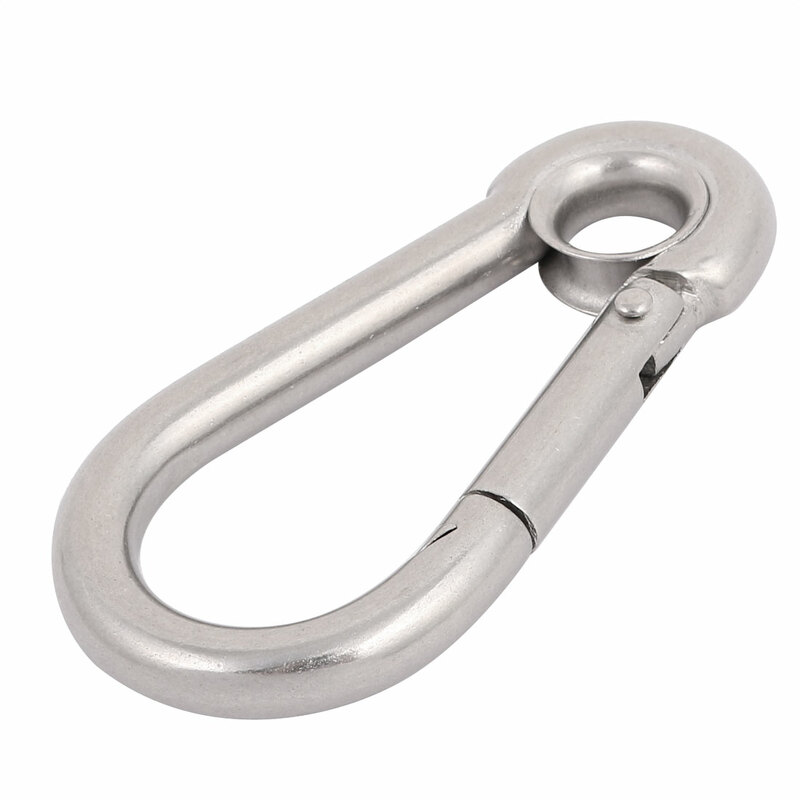 Made of?stainless steel?in silver tone, spring-loaded gate design closure for convenient use. Ideal for holding bottle, pouch, small bag or some other things when travelling. Note: Not for climbing or safety equipment. Ring Thickness: 8mm/0.32"; Hook Throat Opening: 23mm/0.91"